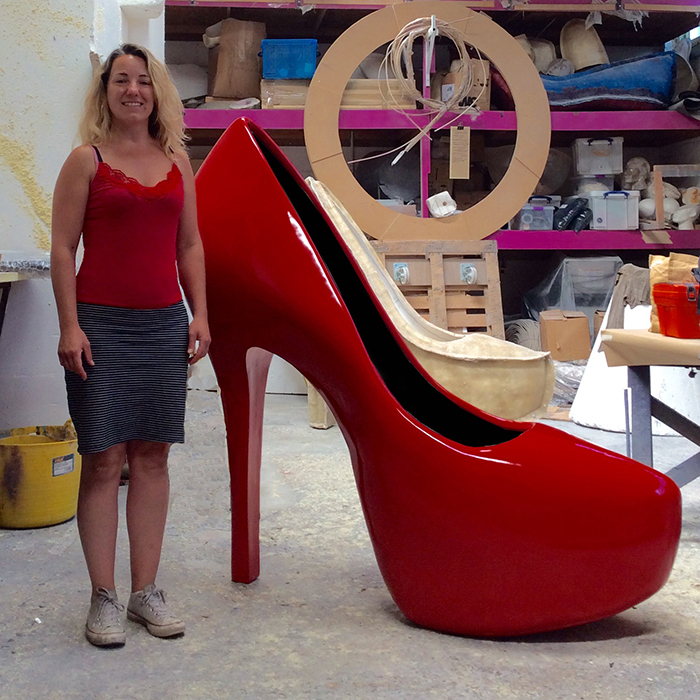 Each giant stiletto shoe is approximately 1600 mm tall x 1700 mm long x 600 mm at its widest points. 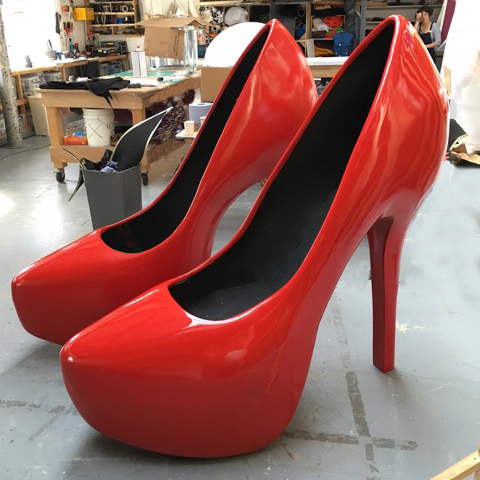 The giant high heel shoes are made out of fibreglass and have a beautiful high gloss red cellulose paint finish. 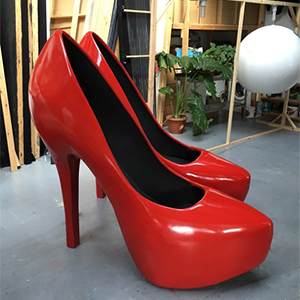 These stunning red high heels can be hired as a pair or individually. 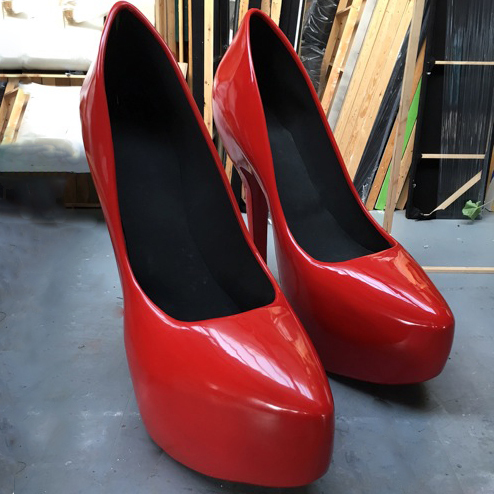 The costs start at £250 per week, per shoe. 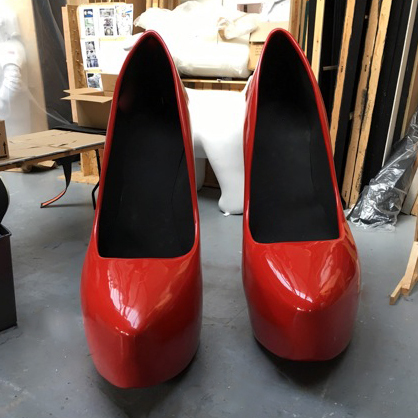 Delivery and collection of the giant shoes can be organised by us or yourself. If arranged by us, this will be a crated pallet delivery and the cost will be based on your delivery address. If you would like us to quote for this, make sure to include the delivery address with your enquiry. Please be aware, you will be required to store the crate for the duration of the hire but we have made this as flat packable as possible. There is also a £200 fully refundable deposit, per shoe. Please note these costs exclude VAT.